Public Engagement—also known as outreach—is a vital part of our work. Given our considerable intellectual resources and the close ties that both Chicago and the state of Illinois have to Latin America, CLAS organizes outreach activities that extend the impact of university resources into our region and nation. The presentation of Latin America-focused content at K–16 training workshops, lecture series aimed at business and the media, and arts and literary events geared to the general public constitute a rich public engagement program that reaches sizeable audiences. CLAS partners with campus units to on in-service professional development workshops for K–16 teachers to improve their knowledge of Latin America and discuss strategies for incorporating innovative scholarship into their curriculum: the annual Summer Institute for Educators and International Education Conference (IEC). Both events are aimed primarily at elementary through community college educators and focus on content and teaching resources from various world regions; attendees receive Continuing Professional Development Units (CPDUs). Designed as a public engagement program, the Latin American Briefing Series (LABS) presents influential academic experts, policymakers, and journalists who explore emerging current affairs that will shape future social, political, and economic trends in Latin America. Lectures are free and open to the public. Full-length videos of previous briefings are available on the Latin American Briefing Series page, as well as on YouTube. CLAS regularly partners with local community entities to extend dialogue on Latin American issues of interest outside the University campus. 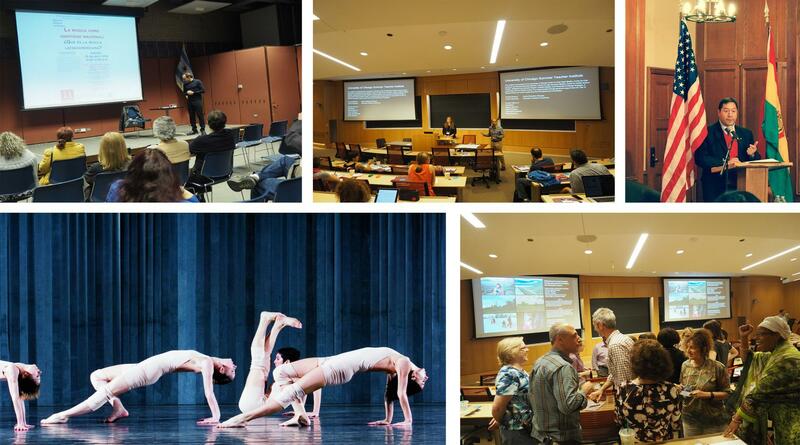 We host arts and culture events on and off campus, and support student and faculty connections with community groups, among other initiatives. For more information on any of these programs, please contact Natalie Arsenault, Associate Director.